High Quality headset for decks with integrated headcups. Industry standard double sealed bearings at top and bottom, wide groove for balls ensures optimum resistance to shock and impacts. Anodized aluminium. Dust cover and laser printed logo. Note: The bearing is slightly smaller than other bearings, ensuring it fits most decks but also avoids making you knock it into place. Because of this, we recommend using a HIC compression system. 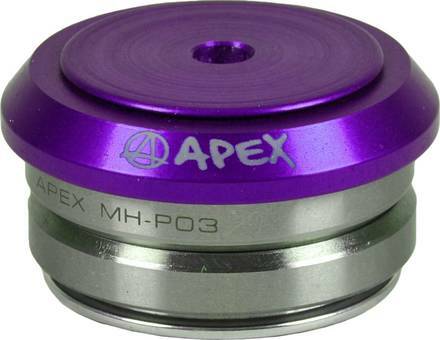 Due to the extra space between the bearing and headcup it requires a constant pressure so that the concave hits the concave part of the head cup.